Take the world on in style! Ensure you get from point A to B effortlessly with this remarkably chic Adagio tote! 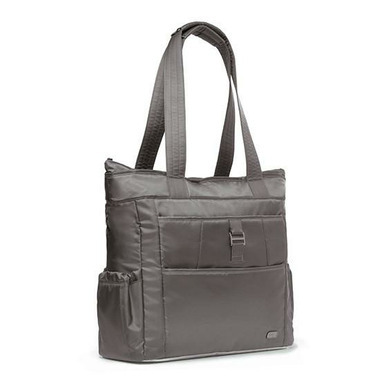 Featuring upgraded gunmetal hardware and RFID protection, this roomy yet intuitive bag provides the avid traveler with the perfect balance of fun and functionality with a multitude of organizational features to fit every must-have on your "let's go!" list. 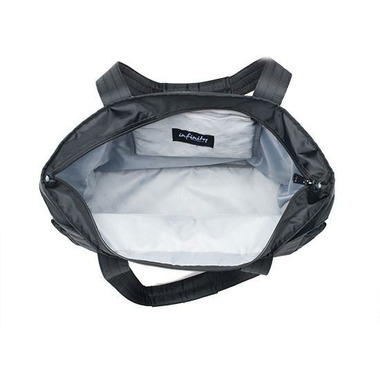 Not only does this tote offer large zip pockets on the front and back for easy and secure access, the interior offers cargo pockets, pen holders, mesh zip pockets, and a hidden mirror!